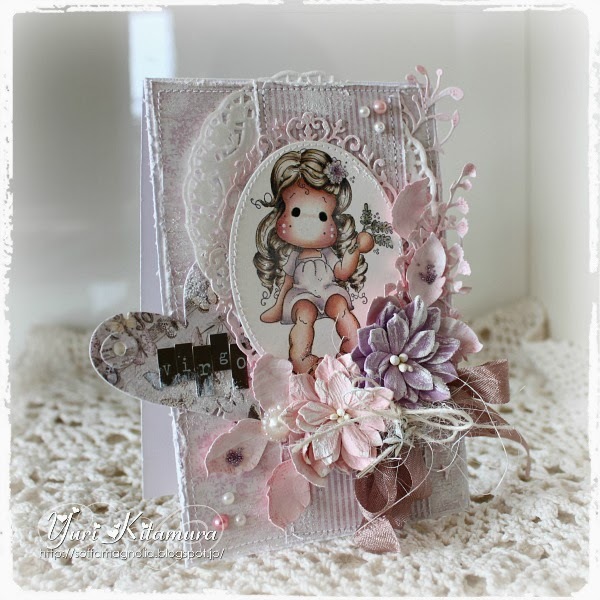 Today I have a couple of cards to show you using Magnolia's images from the newest release. As you know, Magnolia has come up with another gorgeous stamps. These are called "Zodiac Collection 2014" and there are fabulous 12 new images. They will be available at stores soon! 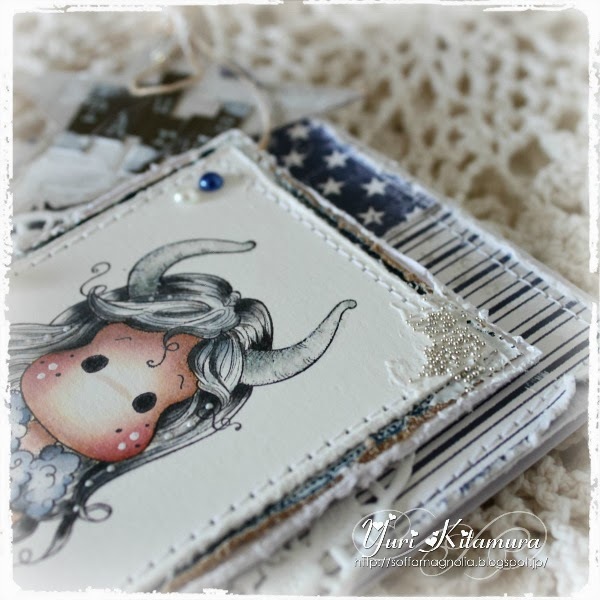 This SUPER darling image on my card is called "Ox TIlda" (Taurus) from the new collection, such a cute one right? I stamped her with Archival Ink Jet black on Langton hot pressed watercolour paper 300gsm (140lb) and coloured with Distress Ink re- inkers & markers as always. I used some pretty embellishments from the Ribbon Girl online store: Wooden star button, Safety pin, Hemp twine, Cherry blossom, Seam binding white(which I dyed with Distress Ink Faded jeans). And this one for second is called "Virgo TIlda" .. She's just so gorgeous and so much fun to colour, love it! 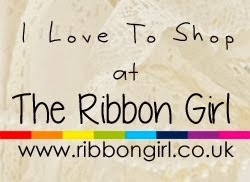 I also used the gorgeous flowers and embellies from the Ribbon Girl online store. 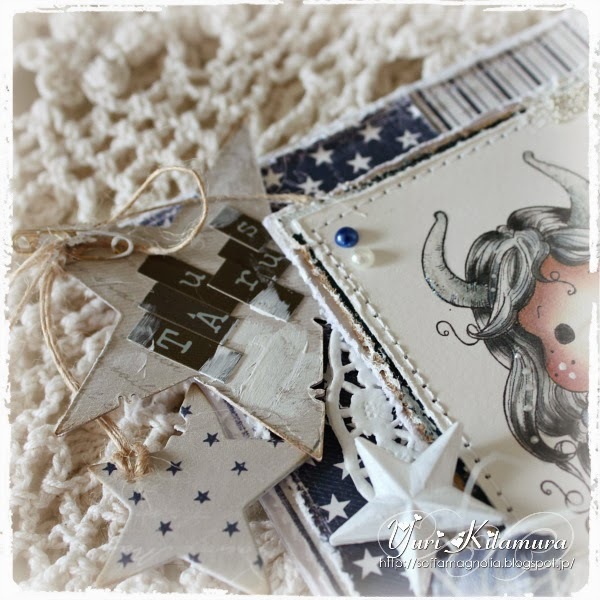 Seam binding ribbon, Pearls, Metal star charm, Hemp twine and Paper doiley all from the Ribbon Girl. Thank you so much for stopping by today and I hope you have a good day! I love the cards and the new stamps from Magnolia they are so sweet!! They are both beautiful Yuri but I have to say the first is my favourite as I am a Taurus. Both are beautifully coloured and embellished. Wow, such stunning cards! Your colouring is perfect and I love the embellishments on both.